On Tuesday, Kanye West visited Trump Tower to have a brief meeting with the President-elect. The Chicago rapper took to Twitter later in the day to explain his reasons for the meeting, writing that he "wanted to meet with Trump today to discuss multicultural issues." 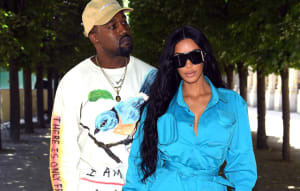 On Wednesday, Kanye returned to social media once again to share a picture of his signed copy of TIME magazine's "Person of the Year" issue, which features Donald Trump on the cover. To Kanye," Trump wrote. You are a great friend." See Kanye's picture of the signed magazine above.